إذا كنت تبحث عن فندق بموقع جيد في ماندوراه، فقد وجدت ضالتك في Mandurah Motel and Apartments . إن موقع الفندق الاستراتيجي، الذي يبعد 10.0 km فقط عن مركز المدينة، يسمح للنزلاء بالوصول سريعاً وبسهولة إلى العديد من الوجهات المحلية المثيرة. كما يمكن الوصول بسهولة إلى ‪Dolphin Quay‬, The Candy Shop, The Crystal Dolphin. إن Mandurah Motel and Apartments حريص على توفير الراحة للنزلاء، فلا يوفر الموظفون جهداً في تقديم أفضل الخدمات وضمان حسن الاستقبال. يقدم الفندق فرصة للاستمتاع بشريحة واسعة من الخدمات بما فيها: خدمة التنظيف يوميًا, واي فاي مجاني في جميع الغرف, خدمة غسيل ذاتية, مجهز لذوي الإحتياجات الخاصة, مرافق مخصصة لذوي الاحتياجات الخاصة . استمتع بوسائل الراحة الراقية في الغرف أثناء إقامتك هنا. بعض الغرف تتضمن اتصال لاسلكي بالإنترنت, اتصال لاسلكي بشبكة الإنترنت (مجاني), غرف لغير المدخنين, مكيف هواء, تدفئة لمساعدتك على استعادة طاقتك بعد يوم طويل. يقدم الفندق مجموعة رائعة من الخدمات كمثل مسار جولف - ضمن 3 كم, حمام سباحة خارجي, ملعب تنس, حديقة، لجعل إقامتك تجربة لا تنسى. مهما كانت دواعي سفرك فإن Mandurah Motel and Apartments هو خيار ممتاز لإقامتك في ماندوراه. يكون مكتب الاستقبال مفتوحًا من الساعة 8:30 صباحًا حتى الساعة 5:30 مساءً من الاثنين إلى الخميس وخلال عطلات نهاية الأسبوع، ومن الساعة 8:30 صباحًا حتى الساعة 9 مساءً أيام الجمعة. يجب على النزلاء الذين سيصلون في وقتٍ آخر غير الأوقات المذكورة أن يتصلوا بالعقار مباشرةً قبيل وصولهم؛ وذلك حتى يمكن إجراء ترتيبات بديلة. Hot water is very temperamental on the second floor if you are having a shower you also have to have the water running in the basin at the same time. 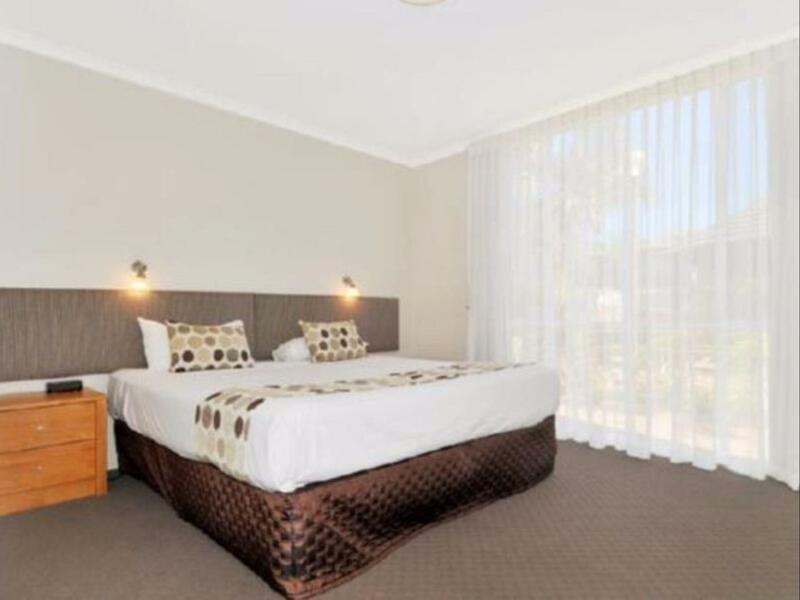 The Mandurah Motel is in a great location and offered great potential with very family friendly facilities. However we could not look past the disgusting state of the room...it was filthy! We could not walk in the room without shoes as our feet would end up black. There were cigarette butts found in a couple of places in the room. And judging by the dirt on the patios we figured that other rooms would be no different. Also we didn't have time to mess around with shifting rooms etc so we endured it. We won't be back! Sink was a bit stained and dirty, we were given no towels for the shower and didn't notice until it was too late, luckily we had our own. Other then that the room was fine. Overall good,needs a little updateing,but accseptible.nice place. Firstly I was told that I didn’t need to worry about payment because it had already came out... and then I was called on the morning of check in and told that the money hadn’t come through from Agoda!!! How stressful!! I couldn’t get hold of Agoda and the hotel staff were no help.. Otherwise the stay was somewhat pleasant, and the family enjoyed their time in Mandurah. My wife and I found this place to suit all our needs. The staff are very nice and the location makes it convenient to enjoy Mandurah restaurants and waterfront. Older style interiors , probably 70's / 80's vintage but good enough and serviceable. Not far from central Mandurah, okay if you have a car. I'd stay again if I needed to but would look at others as well. Lovely staff, clean and comfortable accomodation for an overnight stay. Close walk to the town centre and local attractions/amenities. I will stay there again in a heartbeat. The staff go the extra mile to provide an excellent service to ensure a comfortable and welcoming stay. A wonderful place to stay. Highly recommended. Good value for money, although had an ironing board in the room but no iron. Our 11yr old son loved the pool and we all enjoyed the tennis court. The room was great and the food at the restaurant was excellent. Compliments to the chef! 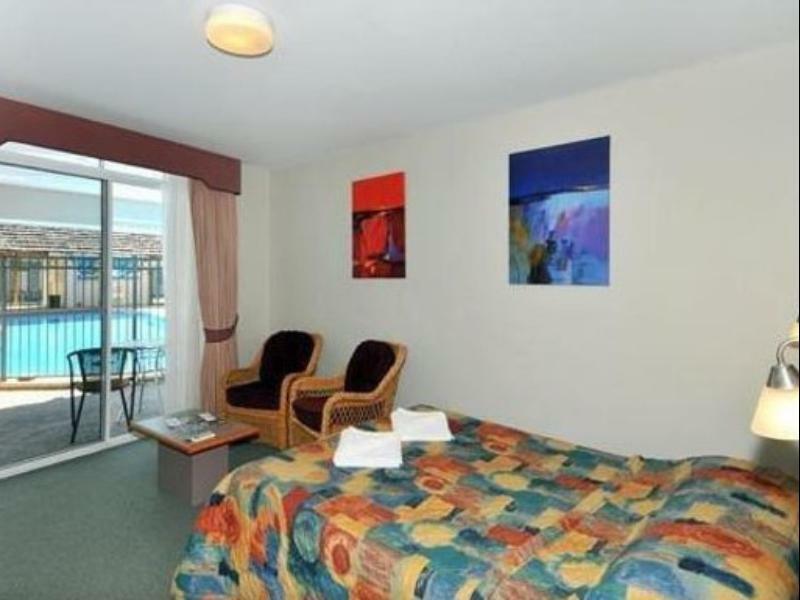 Huge rooms, beautiful swimming pool, delicious food, and close to everything. We will definitely be back! Nice pool area and tennis court. Apartment was spacious and had outdoor seating area. Bathroom a little dated but completely fine and clean. Never used on site restaurant. Easy parking & friendly staff. walking bare foot in the living room our feet turned black from dirt. the floor needs a solid wash not just a brush over. I left my wallet in the room and when we came back at the end of the day, it was still there with all contents intact. Kudos for staff honesty.